Ever since cars were invented, people were dreaming of flying them. Finally, the dream is coming true, or so it seems, courtesy of Slovakian company AeroMobil. 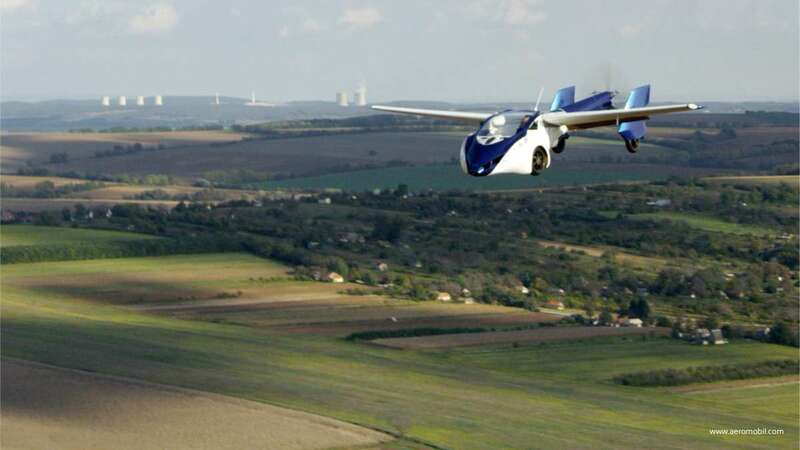 They currently have plans to make a flying car commercially available by 2017. We can expect the first model to be a two-seater with a 700 kilometers range with a take-off speed of 81 miles per hour. It will have a top air speed of about 124 miles per hour and an autopilot function. It’s not going to be for most of us, though, as the company is targeting “wealthy supercar buyers and flight enthusiasts” with a hefty price tag comparable to that of at least a small plane. “We believe that 2017 we’ll be able to launch this to market,” said company CEO and co-founder Juraj Vcaulik at SXSW this week. If we go by his presentation, he’s hoping to make this service the flying equivalent of Uber and Lyft. Vaculik pointed out how travel time to and from the airports, as well as security checks, can waste a lot of time for travelers. He hopes that the company’s flying car will be able to deal with the problem. Another issue he hopes to resolve is traffic congestion. Flying cars won’t need to use regular roads, and those who fly can be spread out over different “layers” of airspace. Disappointingly, Regulations and certifications are holding the project back. They are also big impediments to the mass adoption of flying cars. He notes, however, that the company has received strong support from the European Union. The company is also hoping to make a flying car for the masses in the future. It’s going to be fully autonomous—both self-flying and self-driving. Let’s hope the dream becomes real!